8/10/2012 · Hi. i want to control scrollpane on mouse clicked event.I have added 2 button one at left side and other at right side.And at center i have added HBox containg images.Now i want to slide images on click event of button.... The HBox behind the “Save/Cancel” buttons is not high enough for the rotated buttons. 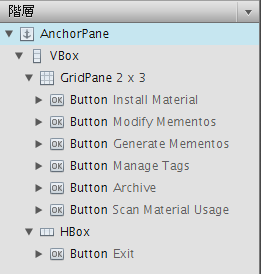 That, however, is a layout change that must have happened at some point between JavaFX 2.2 and Java 8u60: the HBox apparently no longer takes the button rotation into account when sizing itself to its contents. 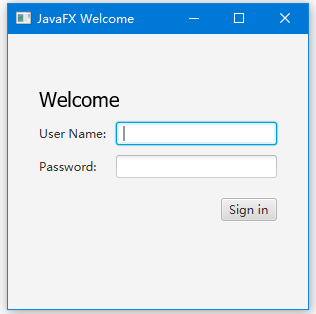 The JavaFX scene is made up of a VBox containing the a HBox and the BorderPane. A JavaFX label is placed in each of the five regions of the BorderPane . A Button and ChoiceBox can be used to display the label for a particular region. The BorderPane container always displays its content in five regions which are top, bottom, left, right, and center and each region must be used. (TRUE/FALSE) (TRUE/FALSE) It loads and image file named terrier.jpg which is found in the images folder on the user's C-drive. (c) Paul Fodor and Pearson Inc. 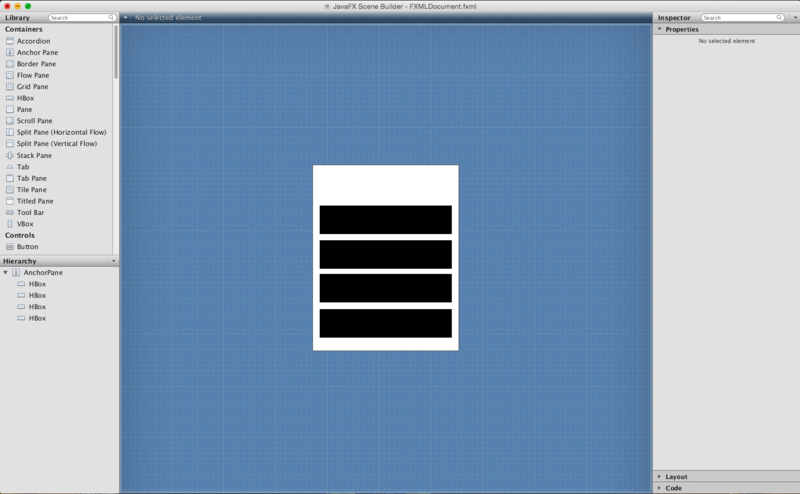 Labeled class A label is a display area for a short text, a node, or both. It is often used to label other controls (usually text fields). 16/10/2013 · Sorry I did a rookie mistake and didn't check the datatype for the buttons within the control. Could I have this thread deleted pleasE?